Great Present Idea, ﻿Contact me to buy a package or for more information. Gone2Pot is proud to annouce a new tournament for the under 18s. Check the Events page for more details. Contact me for any information or to arrange a coaching session. Well done to Adam for winning event 3 of the Gone2Pot Junior Rankings and to everyone who took part. A new Junior Tour will be coming soon, a series of events around London and the South East, more information coming soon. A big well done to Adam, Lincoln and Shayaan who finished in their first EASB Regional season ranked 10th, 13th and 19th. A great performance by you all. The second event of the junior Gone2Pot Rankings has been and gone with Harry winning for the second time in a row, well done. A big well done to everyone who took part. 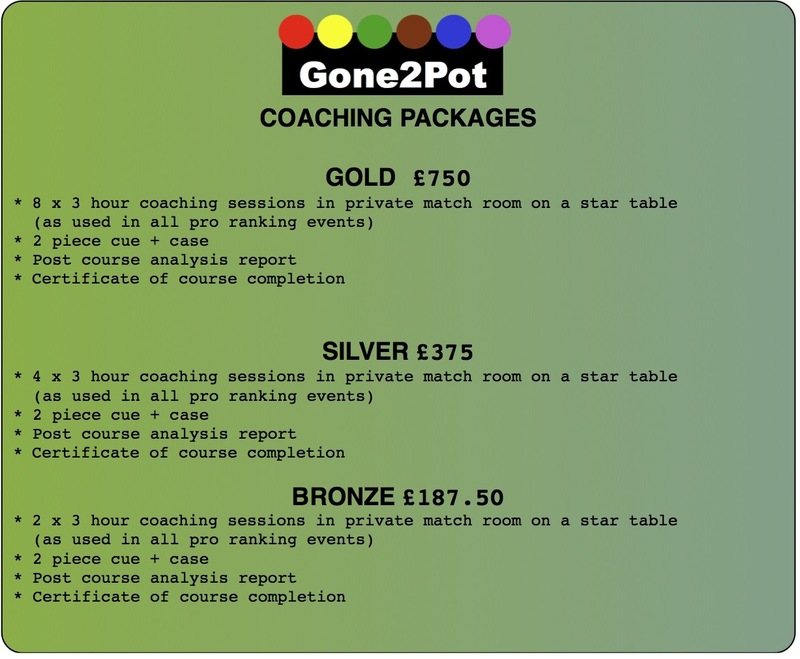 If you want to find out more about the Gone2Pot Junior Event or any other of my services please Contact me. The first Gone2Pot Junior Event of 2012 was a great day. Congratulations to Harry for winning Event One and to everyone who took part.